Display your interpolated lithology in fence panels. 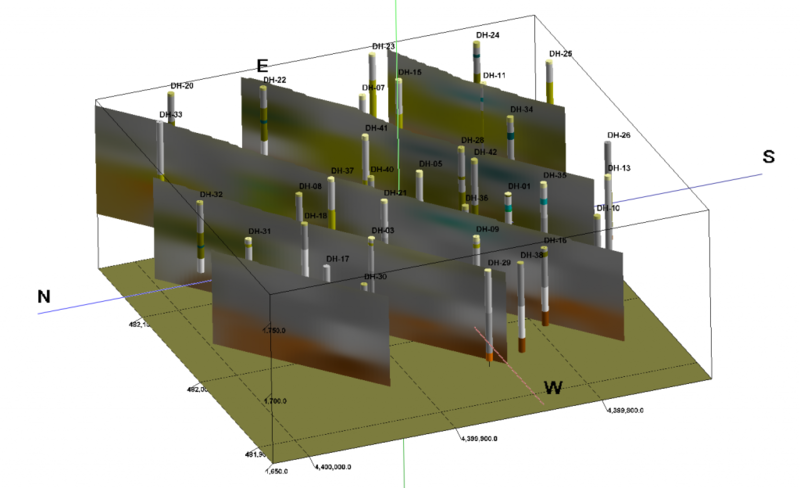 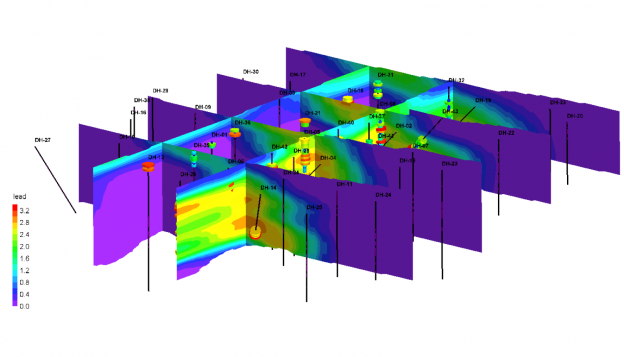 Include a lithology color legend and view volumes of the lithology types in the 3D window. Interpolate a solid model of “I-data” or time-based “T-Data” measurements, create 3D slices through the model with line and/or color-filled contours. Include color legends, display in combination with an isosurface, and/or append stratigraphic surfaces for reference. 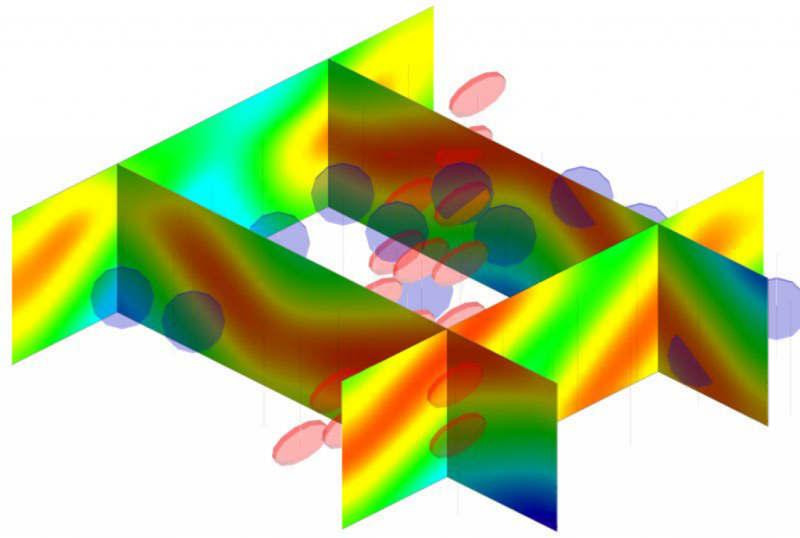 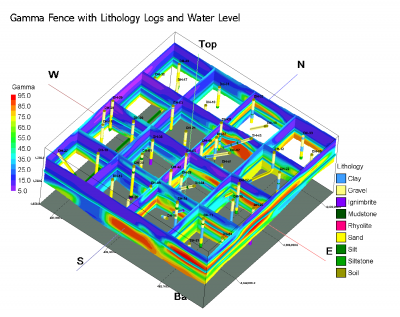 Interpolate a solid model of “P-data” measurements, create 3D vertical fence panels with line and/or color-filled contours. 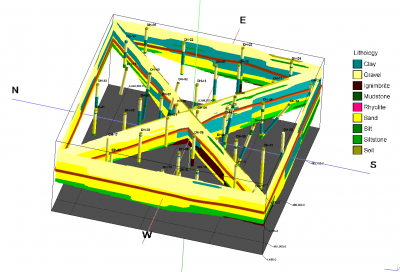 Interpolate a solid model of soil colors, create a 3D diagram with vertical fence panels showing soil color fills. 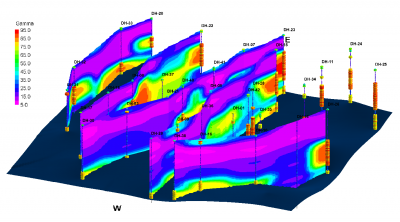 Display in combination with other models, stratigraphic and aquifer layers, etc. 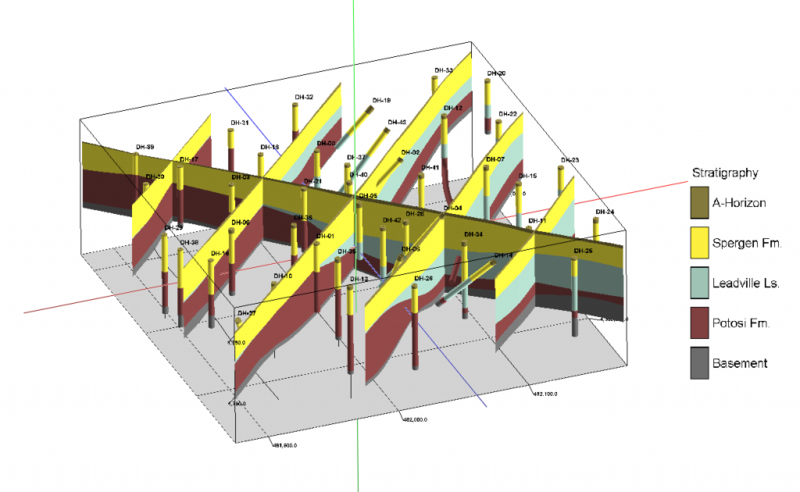 Model fracture locations in 3D and display slices of the model as fence panels. Append fracture discs on 3D logs, and include a legend to colors and distances. 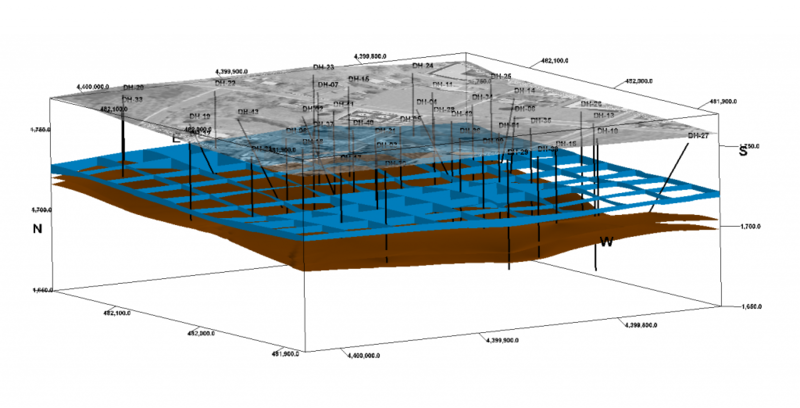 Display aquifer surface and base in 3D fence panels. 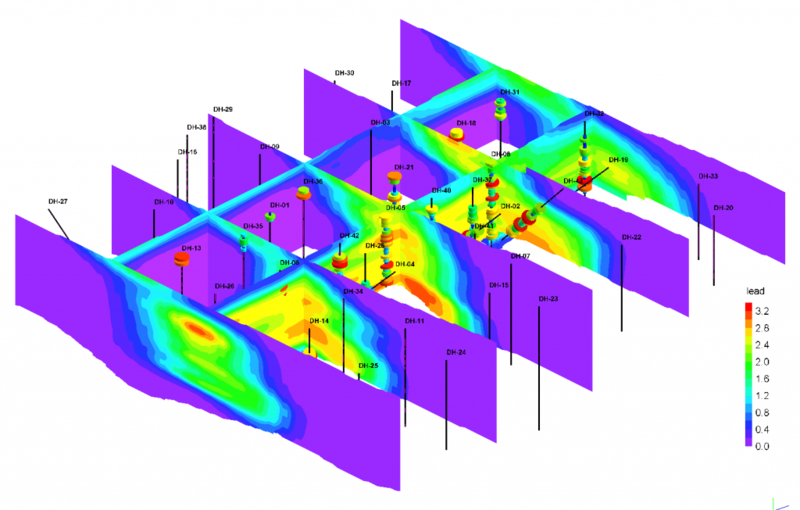 Combine with an isosurface representing a contaminant plume. 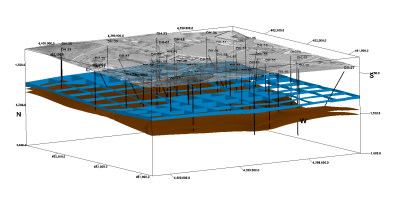 Float a reference map above the image. This entry was posted on June 27, 2017 by Rockware Test Admin.